Noel and Michael are joined by writer Christopher Mills (Femme Noir, Gravedigger, Perils on Planet X, and the excellent blog Space: 1970) to discuss Tarzan the Fearless, a 12-chapter serial starring Buster Crabbe (Buck Rogers, Flash Gordon) and Julie Bishop (The Black Cat). 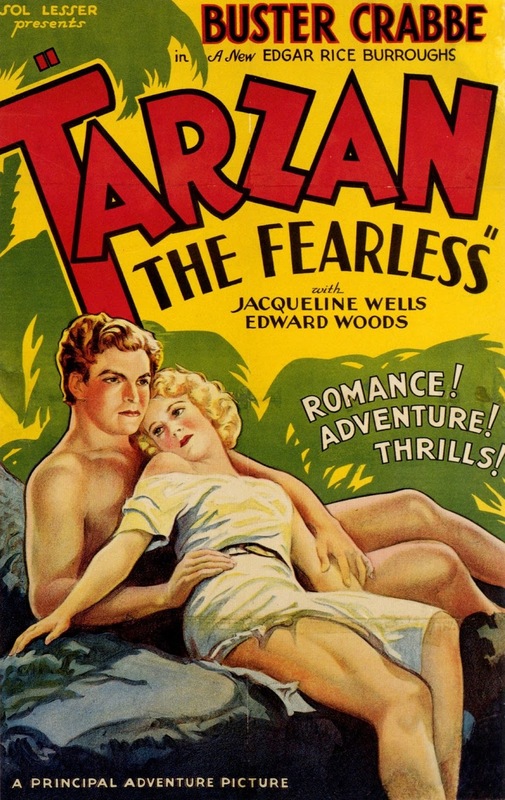 It's also the first Tarzan film by legendary Tarzan producer Sol Lesser. Buster made a Columbia cheapie serial in 1951,King of the Congo. He wore a loincloth thru most of it and still looked great at 43.